From the shearing shed to a sophisticated dinner party, this jumper is the perfect combination of timeless style and pure comfort! 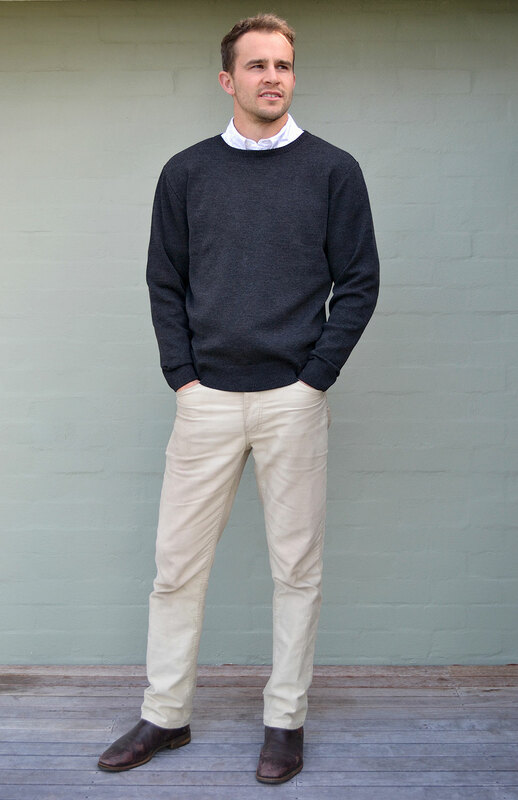 Made from Australian heavyweight 400gsm Superfine Merino and featuring 7cm cuff and hem detail, long sleeves and a tailored body shape, our Knitted Jumper has been tested and trusted for generations. There is no doubting this classic Woolmark grade jumper will be with you for years and years to come. The Round Neck style makes it the perfect match for your favourite casual shirts, work shirts or thermals. Pair with your work pants or switch to your best jeans for an evening out. Superfine merino avoids the itch and irritation that can occur with some chunkier wool styles, so is perfect to wear directly against the skin. Grab the favourite lady in your life her own Cable Knit Jumper!